Hearing loss isn’t visible to the people around you. What they do see is its effects, which can be misinterpreted as aloofness, confusion, or personality changes. 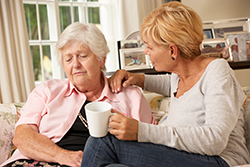 Does a hearing problem cause you to be frustrated or argue with family members? Are you uncomfortable in restaurants or at parties because you often can't understand what people are saying? The odds of suffering from age-related hearing loss increase as we age. Conditions that are more common in older people, such as high blood pressure or diabetes, can contribute to hearing loss. Certain medications (especially chemotherapy drugs) are toxic to the sensory cells in your ears and can also cause hearing loss. Often, severe tinnitus (ringing in the ears) accompanies hearing loss and can be just as debilitating as the hearing loss itself. My hearing isn't that bad. Why not wait until it really bothers me? Are hearing aids the right solution for me? They could be. It depends on why you’re having trouble hearing and the specific treatment options. That’s why it’s essential to be evaluated by a specialist like Dr. Silberman. Hearing aids will not correct hearing like glasses correct vision, but they do help you hear in many situations. And the longer you suffer a hearing loss, the harder it is for you to adjust to normal hearing again. Modern hearing aids offer advanced features for today's lifestyles. Hearing aids do much more than just make everything louder. They make hearing and understanding easier. Today’s hearing aids range from extremely tiny ones that fit completely in the ear canal, to ones that are placed behind the ear using tubing and an earmold. Some use just tubing to deliver the sounds or locate a tiny loudspeaker right in the ear canal. Modern hearing aids are digital which makes many more types of functions possible than with the previous generation of analog hearing aids. 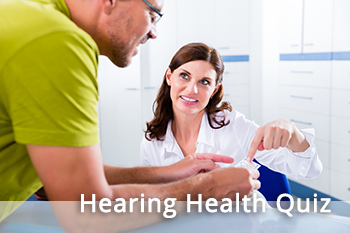 Our quick hearing health assessment can help you decide if seeing an experienced hearing specialist at Cleveland Sinus Institute is the right move. Hearing problems can be serious. If you think you have a hearing problem, the most important thing you can do is to seek advice from Dr. Silberman. You will be treated with respect, kindness and skill in the examination and testing to determine the cause of your hearing problem and your best treatment options. Don't put off finding the best solution for your hearing loss.